This is a general-purpose single or twin needle, walking foot, sewing machine which combines the highest in quality and functions with excellent cost performance. It is ideal for handling heavy materials, and is particularly suited to sewing car seats, carpets, and also upholstery and leather articles. Features: Bottom feed, needle feed, walking foot, large hook & bases.. 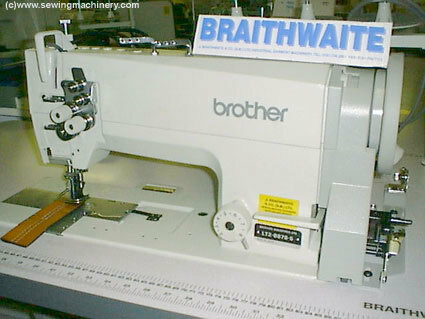 This Brother model has been discontinued and not replaced by a new model.